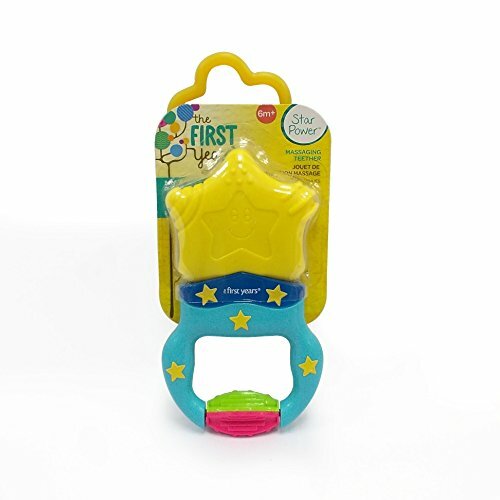 The First Years Massaging Action Teether is a fantastic concept, the teether allows for your infant to control the massaging action which helps with blood flow to the sore gum and help with swelling and discomfort, the teether can also be easily used on gums at the back of the mouth without fear of swallowing. 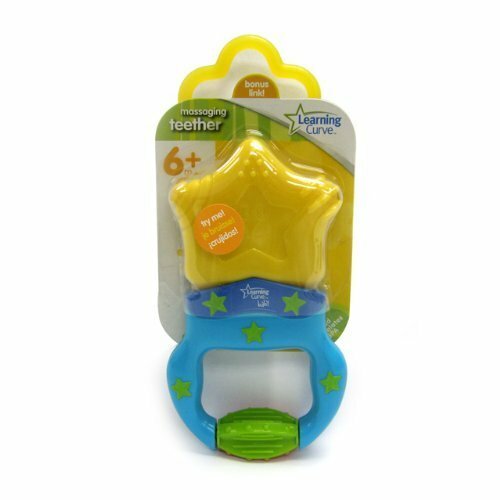 The massaging action teether is easy to grasp and a good feel of quality and is in bright appealing colors. 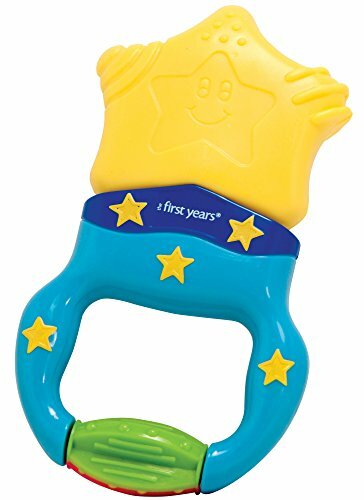 We love the idea of the massaging teether and can see it being a great relief to sore gums which should hopefully bring the smile back to your baby's face. Playful and child friendly, this teether offers a different kind of comfort. 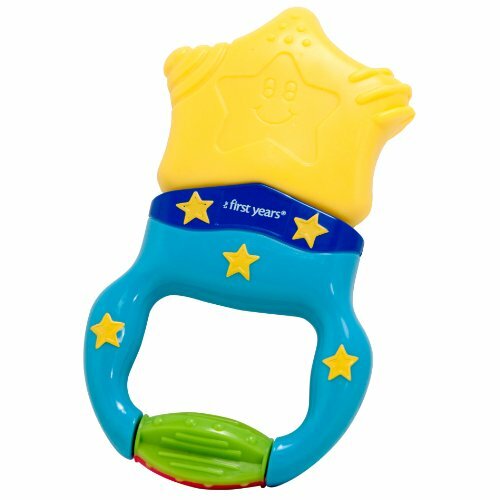 The textured chewable star points produce a safe, soothing vibration whenever the child bites down on them. It's powered by a small long life battery that's sealed inside.